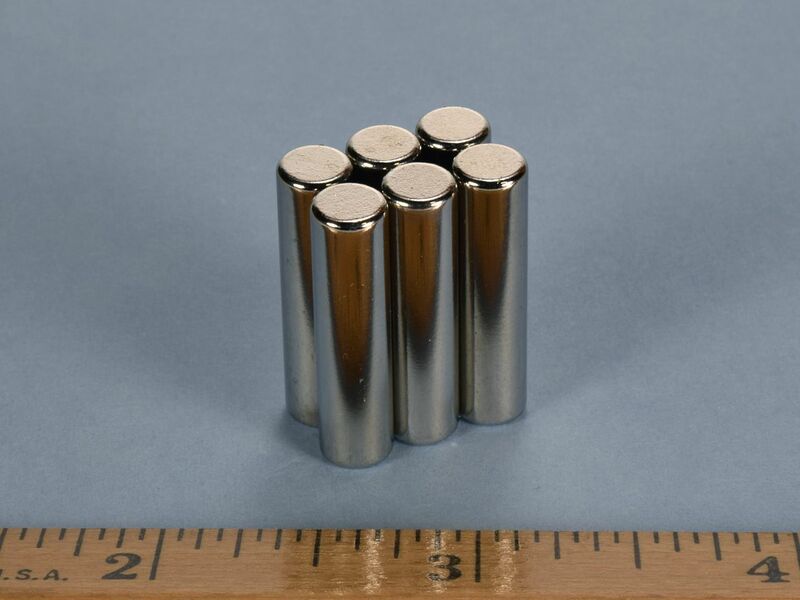 This cylinder magnet is a great combination of good magnetic strength, with a tall height that makes them easy to handle. They are a nice size to grasp with ease. Two of them pinching a piece of string between them make a great homemade compass. They are strong, yet easy to handle. 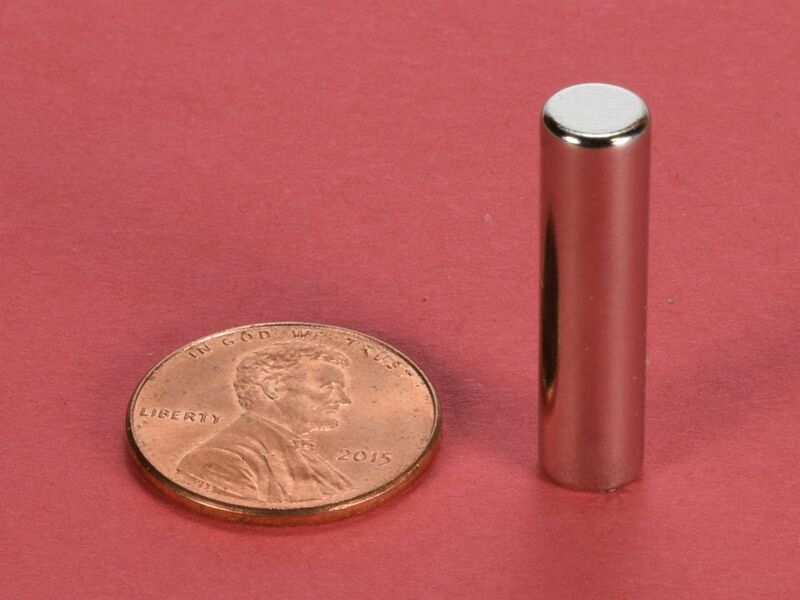 This size is also available diametrically magnetized in Grade N52 as part number D4X0DIA-N52 and in Grade N42 with a small dimple on the north end as part number D4X0-ND.